Complete a minimum of a bachelor’s degree at a US regionally accredited university or college and course work accredited by the Accreditation Council for Education in Nutrition and Dietetics (ACEND) of the Academy of Nutrition and Dietetics (AND). Complete an ACEND-accredited supervised practice program at a health-care facility, community agency, or a foodservice corporation or combined with undergraduate or graduate studies. Typically, a practice program will run six to 12 months in length. Pass a national examination administered by the Commission on Dietetic Registration (CDR). For more information regarding the examination, refer to CDR’s website at www.cdrnet.org. State licensure is required to practice dietetics in some states. For more information regarding state licensure or certification, refer to CDR’s website at www.cdrnet.org. 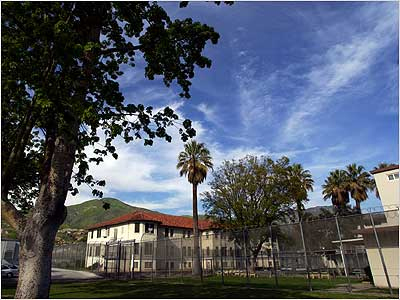 Department of State Hospitals (DSH) - Patton is located at the base of the San Bernardino Mountains, 50 miles east of Los Angeles and 50 miles west of Palm Springs. The hospital is a low to moderate security hospital which serves over 1500 mentally ill adults. All admits to the hospital have a civil commitment ordered by a judge for rehabilitation. DSH-Patton’s Dietetic Internship Program is a generalized program with a concentration in psychiatric disabilities and medical nutrition therapy. The program is full-time for 10 months starting each August. There are six (6) intern positions available during the spring computer matching process. We are currently granted accreditation by the Accreditation Council for Education in Nutrition and Dietetics (ACEND) which is the accrediting body for the Academy of Nutrition and Dietetics. The mission of the DSH-Patton Dietetic Internship Program is to utilize scientific evidence-based education to prepare interns to be competent entry-level dietitians, committed to promote health and prevent nutrition-related diseases; who are well-rounded contributing members to the field of dietetics, with a sensitivity and awareness to diverse populations, particularly in the area of mental health. In accordance with ACEND standards, the program is designed to provide didactic and supervised practice to meet the eligibility requirements to become a Registered Dietitian Nutritionist (RDN). The program will promote individual learning that bridges academia with practical experience to develop and promote teamwork and other operational skills for employment in the field of dietetics; establish life-long learning to maintain a credentialed status, encourage involvement in the professional organization, and offer an effective learning environment. The program will prepare competent, entry-level Registered Dietitian Nutritionists for employment. Over a five-year period, 80% of the interns who start the program will complete the program within 15 months. Over a five-year period, 80% of the intern graduates will take the registration within 12 months of program completion. Over a five-year period, 80% of intern graduates will pass the registration examination on the first attempt. Over a five-year period, at least 80% of the graduates that seek employment will be employed in nutrition, dietetics or a related field within 6 months of program completion. The program will graduate interns that are well prepared to demonstrate professionalism and leadership in the field of dietetics. At completion of program, at least 90% of graduating interns will indicate on their program evaluation that they are “satisfied” or “highly satisfied” with the quality of their preparation for professional practice. On the alumni survey (one-year post program completion), 80% of employed graduates will rate themselves as “satisfied” or “highly satisfied” with their ability to perform entry-level RD competencies in their work. One year after employment, 80% of employers will rate graduates as “meets expectation” or “exceeds” in professionalism, knowledge and skills as expected in entry-level dietitians. Supervised practice experience is provided in clinical dietetics, food service administration (hospital and school settings), and community nutrition.As the host facility, DSH-Patton provides a unique learning experience in the treatment for forensic psychiatric patients. In addition, interns have the opportunity to expand their knowledge and skills by learning from preceptors at various affiliations such as: Arrowhead Regional Medical Center, San Gorgonio Memorial Hospital, Children’s Hospital of Los Angeles, and the California Department of Corrections and Rehabilitation (CDCR). The program also has affiliation with San Bernardino City Unified School District and San Bernardino Public Health Department. Interns develop personal goals to accomplish in each rotation. The internship program usually begins at the beginning of August of each year and continues through June of each year. Although the program functions occur during the work week, occasional work and projects may need to be completed on weekends and after work hours. Clinical Nutrition: This component is designed to provide practical experiences in nutritional care including nutrition assessment, nutrition diagnosis, nutrition intervention, nutrition monitoring and evaluation. The intern actively participates in the client education as well as the interdisciplinary team meetings. Clinical experience involves clients in long-term, sub-acute, and acute care in settings, such as; medical, mental health, developmental disabilities, and prison health care. The clinical rotations provide experience in diabetes, renal, nutrition support, cardiology, GI disorders, oncology, burn/wound healing, HIV/AIDS, dysphagia, geriatrics, pediatrics/NICU, substance abuse, surgical and critical care. Learning is facilitated by written assignments, oral case studies, and staff relief to reinforce nutrition principles in the clinical setting. Food Service Administration: The administrative experiences are to provide an understanding of the roles and responsibilities of all levels of food service systems management in hospital and school foodservice and to provide hands-on experience in large scale quantity food cooking utilizing cook-serve and cook-chill. Learning is facilitated by using written assignments and oral projects based on practical needs of the department. The food service experience includes menu planning, production and service methods, procurement, inventory, cost control techniques, management and personnel. The intern will learn planning, coordination, time management, and critical thinking. An opportunity to work independently and use skills is gained during staff relief. Community Nutrition: Experiences in this rotation are planned to provide understanding in the role of the dietitian in community dietetics. Interns receive experience in the following: outpatient nutrition clinic programs including primary care and Public Health WIC clinics in assessing and counseling prenatal clients as well as infants and children from low-income areas; RD services to Senior Nutrition Programs (congregate and Meals on Wheels); contract with Department of Aging to provide Senior Nutrition and Physical Activity classes; Child Services which includes the Child Health and Disability Prevention Program (CHDP); Food Security as a resource of food assistance programs available through food pantries, community or faith-based food banks, and visit locations for food safety; Fitness/Wellness with elementary schools or community based organizations to promote eating more fruit and vegetables and increasing physical activity. Besides the hands-on experience, learning is facilitated by written assignments. A one-week vacation is planned for the week of Christmas in addition to all state observed holidays. DSH-Patton’s Dietetic Internship Program coordinates with the Greater Los Angeles Dietetic Intern Consortium (GLADIC) to provide supplementary didactic classes, usually held each Monday. Medical and allied health professionals serve as instructors. Classes are held at any of the sponsoring GLADIC facilities.Interns are responsible for transportation to these classes. A car is required for the internship. The didactic classes offer an opportunity for the interns to network with other interns and dietitians from other local institutions. Upon admission into the dietetic internship program, interns become employees of the State of California. Their classification as a Graduate Student Assistant allows for compensation at an hourly rate for time worked on DSH-Patton grounds. The current financial compensation as Graduate Student Assistant approximately $8000.00 for the entire year. (Note that compensation will vary month to month and is dependent on the intern’s schedule). Funding is determined annually and therefore subject to change. While most interns choose to live off grounds, there is an option of reduced-cost housing available to interns on hospital grounds. Housing is subject to availability and is not guaranteed. Use of a private vehicle is required since transportation to rotations and didactic classes is the intern’s responsibility. The affiliations are located within a sixty-mile radius of Patton. Carpooling cannot be depended on as a means of transportation since each intern’s schedule is different. Health insurance is required. The DSH-Patton Employee Health Clinic offer limited services. As state employees, the Employee Assistance Program is available to the interns at no cost. Dietetic interns are not eligible for student loans through the program. However, deferments for outstanding loans can be made if allowed by your lender. DSH-Patton can provide documentation of status as an intern. Fees and expenses include estimated expenses for travel, housing, books, study materials, liability insurance, medical exam and application fees. INTERNS MUST HAVE A VEHICLE, CAR INSURANCE, MEDICAL INSURANCE, AND PROFESSIONAL LIABILITY INSURANCE COVERAGE THROUGHOUT THE INTERNSHIP. Personal health insurance is required; DSH-Patton does not provide medical coverage. Candidates invited to interview for the DSH-Patton Dietetic Internship Program will also apply as a Graduate Student Assistant. Upon acceptance to the DSH-Patton Dietetic Internship, all candidates must undergo a California State Criminal Background Check and pre-employment health clearance that includes a TB skin test and a drug screen. Appointments are made prior to the intern starting the internship. A background check and pre-employment health must be cleared before starting the internship. The intern will complete this process through the DSH-Patton Human Resources (909) 425-7534 at no charge. DSH-Patton will not be responsible for charges incurred if these services are not done at DSH-Patton. As a Graduate Student Assistant, approximately $8000 is allotted over the entire length of the program. Salaries are subject to change. As a general rule, dietetic interns are not eligible for student loans. However, deferments for outstanding loans can be made if allowed by your lender. Patton can provide documentation of status as an intern, or complete documents from the loan agency to verify status in an accredited certificate program. The program will only admit individuals who have completed Didactic Program in Dietetics requirements within the past 5 years, have a minimum of a bachelor’s degree from a regionally accredited college/university and have a verification statement from a Nutrition and Dietetics Didactic Program (DPD) or Foreign Dietitian Education program (FDE). Successful internship candidates will be dedicated to the field of dietetics, are self-motivated and team players with excellent interpersonal skills. DSH-Patton’s Dietetic Internship Program does not assess prior learning and does not apply prior learning credit toward meeting dietetic internship requirements. Paid and volunteer experience in the field of dietetics outside classroom field assignments. Other experiences outside dietetics will also be considered. If the date on the DPD Verification Statement is more than 5 years prior to the start date of the internship, the applicant must take or have taken at least 9 semester or 12 quarter credits in upper-division dietetics-related coursework within the past 5 years at a university with an approved DPD or coordinated program. At least one course in medical nutrition therapy is required. Interns are required to bring an original Verification Statement signed by the Didactic Program Director on their first day of the Dietetic Internship Program. Provide a final original transcript documenting the highest degree earned and the date conferred. The final original transcript must be submitted on the first day of the Dietetic Internship Program. A foreign degree equivalency statement is required for each international student who is accepted to the DSH-Patton Dietetic Internship and must be submitted as part of the DICAS application. Interns must undergo a California State Criminal Background Check and pre-employment health clearance (physical exam) before starting the internship. These services are provided by Department of State Hospitals - Patton and must be completed by the date specified in the intern notification packet. An intern will not be allowed in the program if they do not pass the background check and/or physical exam per DSH requirements for employees. According to their policies for intern training, affiliate organizations may require interns to undergo additional background checks, drug screens, physical exams and tuberculin skin tests. Efforts will be made to accommodate those prerequisites during the scheduled rotation, however, completion of prerequisites may be required before starting the rotation. The intern is responsible for all costs associated with background checks, drug screens, physical exams and tuberculin skin tests required by affiliate organizations. Some affiliates require a full complement of childhood immunizations or proof of immunity through blood titers. Interns must have vaccinations or blood titers for Mumps, Rubeola, Rubella, Varicella, Tetanus, Diptheria and Pertusis (Tdap), Hepatitis B, Influenza (or declination), as well as a 2-step tuberculin skin test. These services, immunizations and titers are provided by DSH-Patton free of charge but will not be reimbursed to the intern if services are provided elsewhere, or if required at offsite facilities. Prior learning, including coursework and/or experience, is not assessed for credit toward program requirements. DSH-Patton’s Dietetic Internship participates in the Spring Computer Matching Process through DICAS (Dietetic Internship Centralized Application System). DICAS can be contacted by email at DICASInfo@DICAS.org or https://portal.dicas.org. Mailed applications will not be accepted. The online DICAS application must be completed by 11:59 p.m. Central Time on February 15. The fee to use DICAS is $45 for the first application submitted and $20 for each additional application. Discuss experiences that have helped to prepare you for your career. Discuss what skills, interest, and hobbies you have. Challenges you have faced on your path to becoming a Registered Dietitian. Applicants must mail (postmarked by February 15) a non-refundable $65 application fee made payable to “Patton State Hospital”. Only a cashier’s check or money order will be accepted as a form of payment. Indicate the student’s name in the memo section. We cannot accept personal checks.